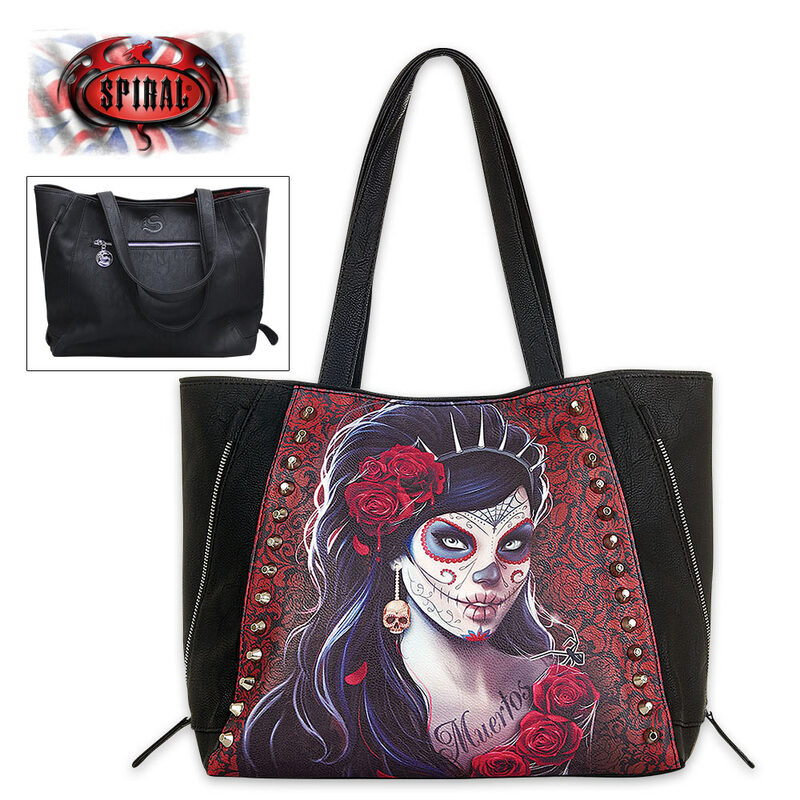 Day Of The Dead Studded Tote Bag | BUDK.com - Knives & Swords At The Lowest Prices! Dia de Los Muertos, the Mexican celebration of souls long since departed and those they have left behind, has been beautifully and artistically personified on this black tote bag. It also features accent studs and zippers on each side to adjust the width of the bag. 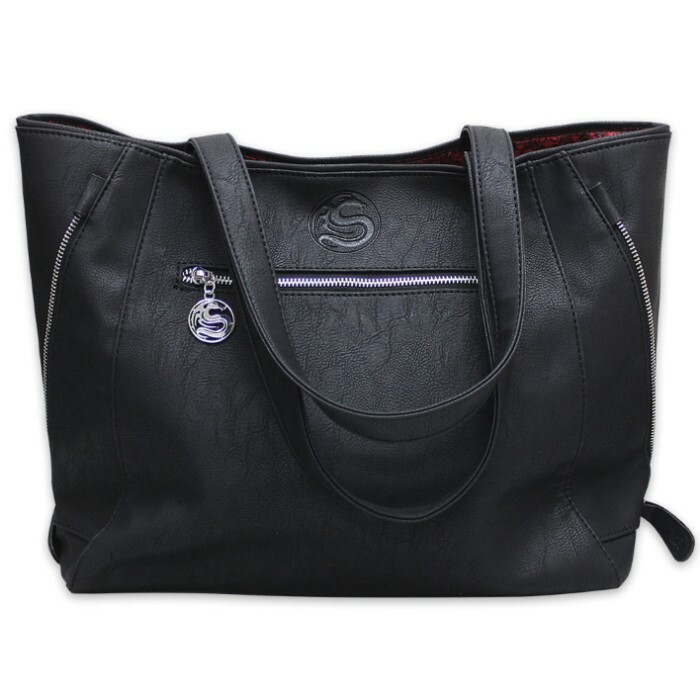 The soft and pliable, high quality PU leather bag has an external zippered pocket and internal pockets. The poly lining has an ornate black and red design and a sturdy bottom. 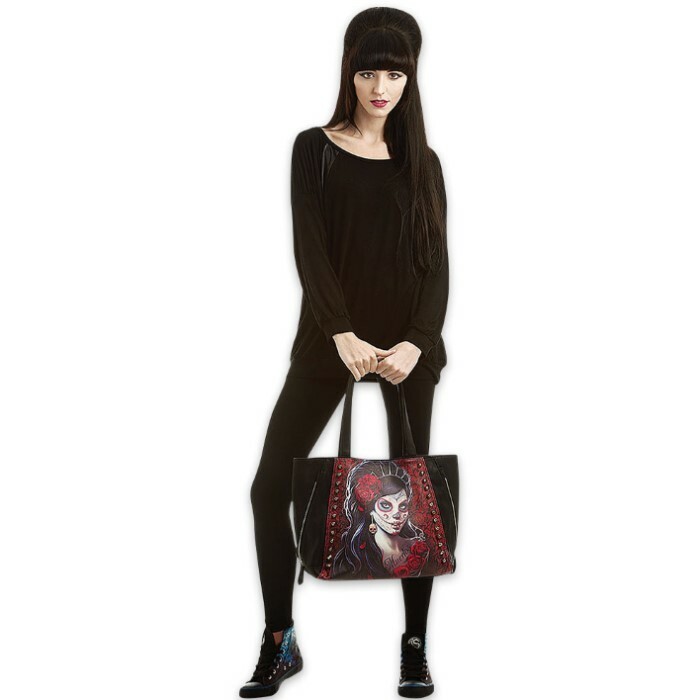 The detailed artwork, featuring a raven-haired senorita dressed in full costume for the Mexican holiday, will be an attention-getter when you carry this tote.